The warm October continued for another day, which gave me another chance to ride. 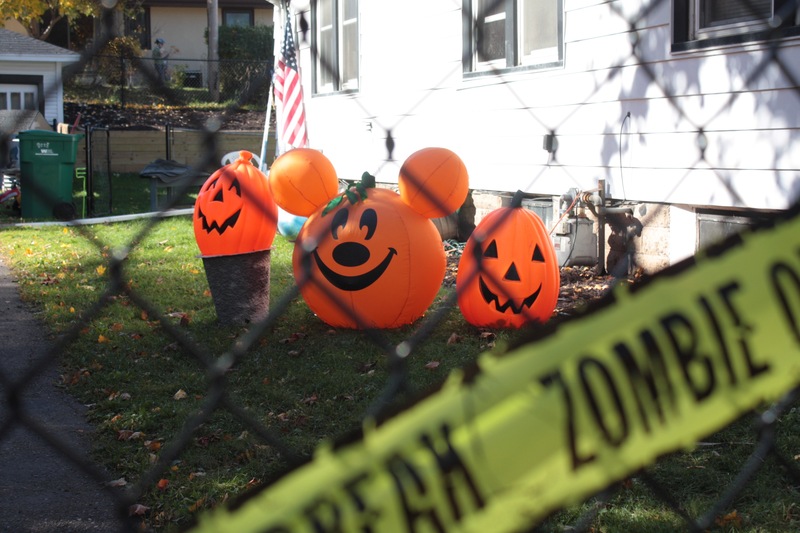 Like yesterday, Halloween ornamentation and leaves were plentiful. 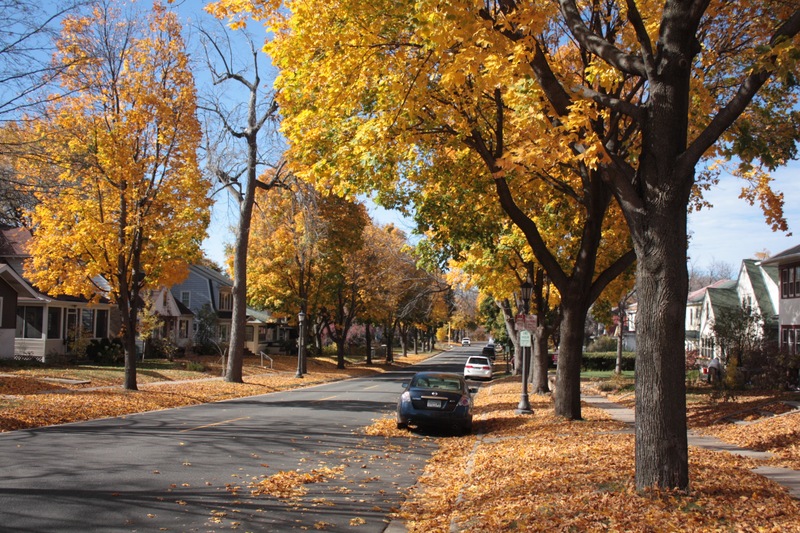 The golden leaves of the maple trees are set off magnificently by the deep blue sky. 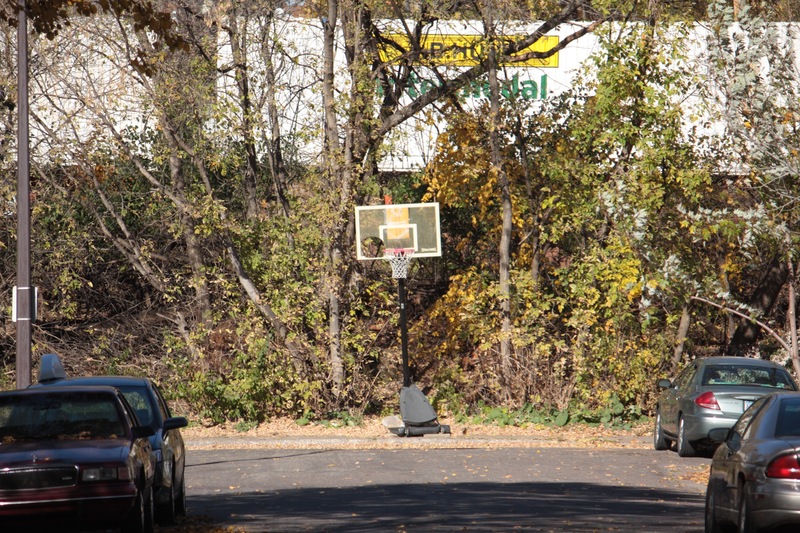 On my bike rides I often see an object I otherwise wouldn’t lay eyes on. Many times it’s the unusual, but occasionally, it’s objects so commonplace most of us go about our lives never noticing them, though they’re in plain sight. An example, which regular readers of this blog know, is my atypical interest in manhole covers. This ride I spent an unusual amount of time scrutinizing fire hydrants, the result of the stop at and research of the former Waterous Company building on my October 24th journey. Never before did I know fire hydrants came in so many sizes, shapes and colors. Finn and Lincoln. The silver object on the left side of the hydrant is a spring which holds an orange and white flag pole approximately two feet tall. When a big snow storm hits, the flag lets firefighters and nearby residents know where a snow-buried hydrant is. 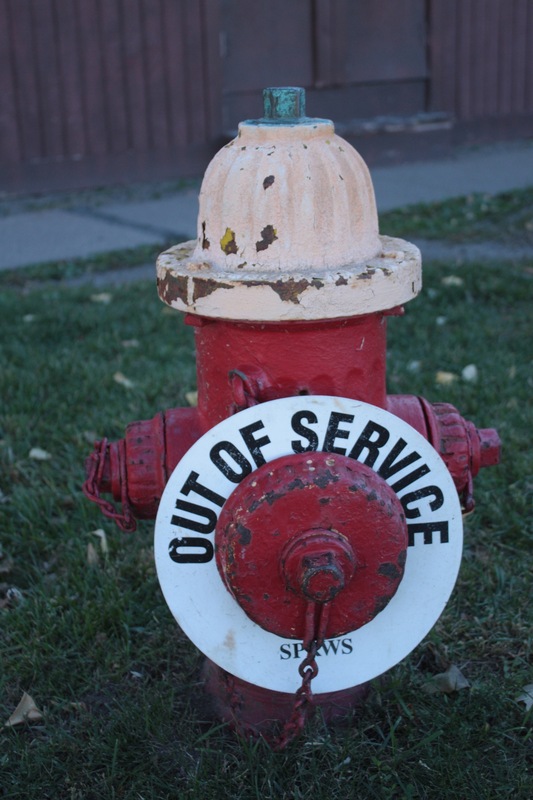 This old hydrant at the corner of Cleveland and Dayton Avenues is likely from the mid-1940s. I did see more than fire hydrants on the ride. 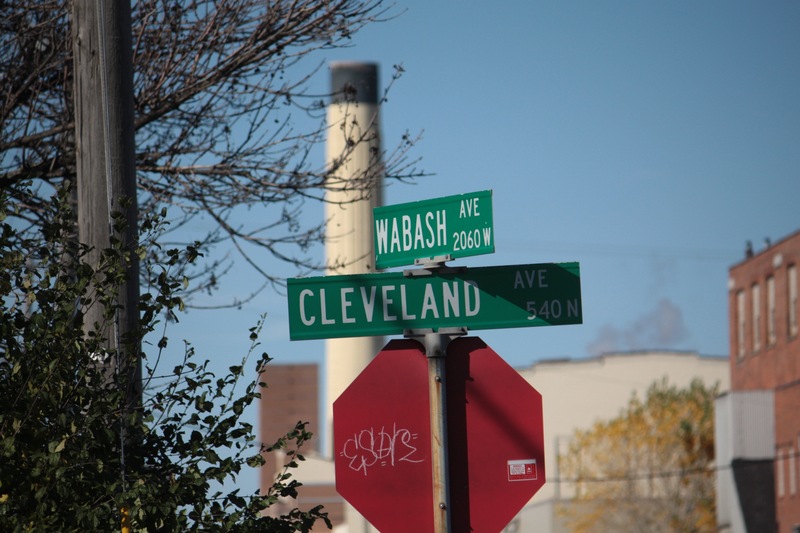 The Interstate 94 sign on Cleveland and Wabash Avenues. 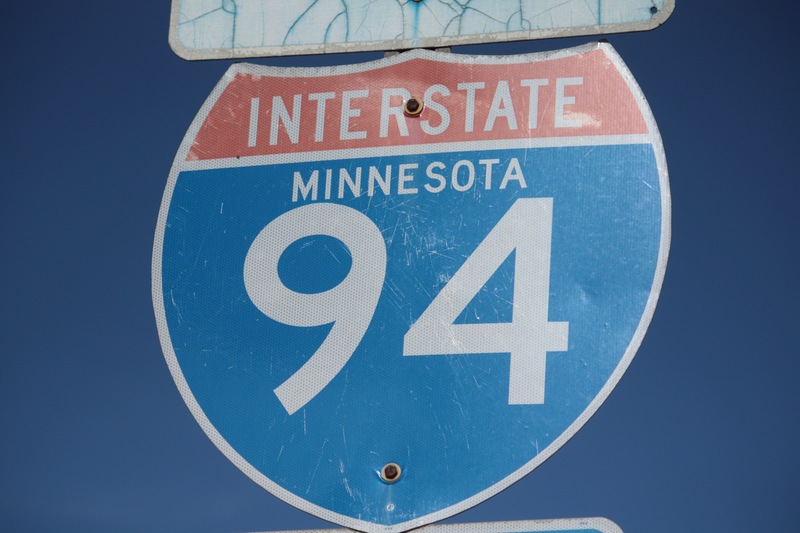 Older signs like this one have the name of the state between the word “Interstate” and the number. Newer signs are generic, no longer bearing the name of the state in which they sit. That is the smokestack of Rock-Tenn’s cardboard recycling plant in the background. 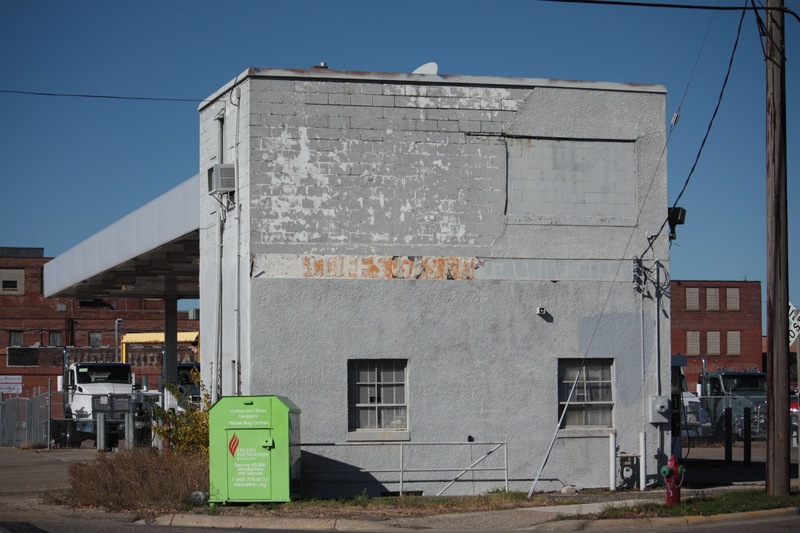 This unusual and diminutive Pro Stop gas station has sat on the northwest corner of Cleveland and Wabash since 1947. Among its more curious traits is that it is two stories tall. 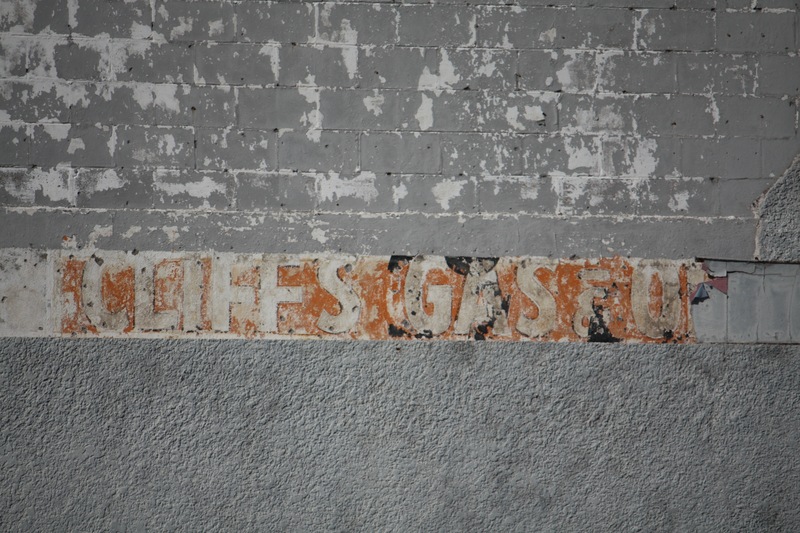 A sign from days gone by says “Cliff’s Gas & O” which I’m guessing is oil. I have not been able to find any record of Cliff’s. 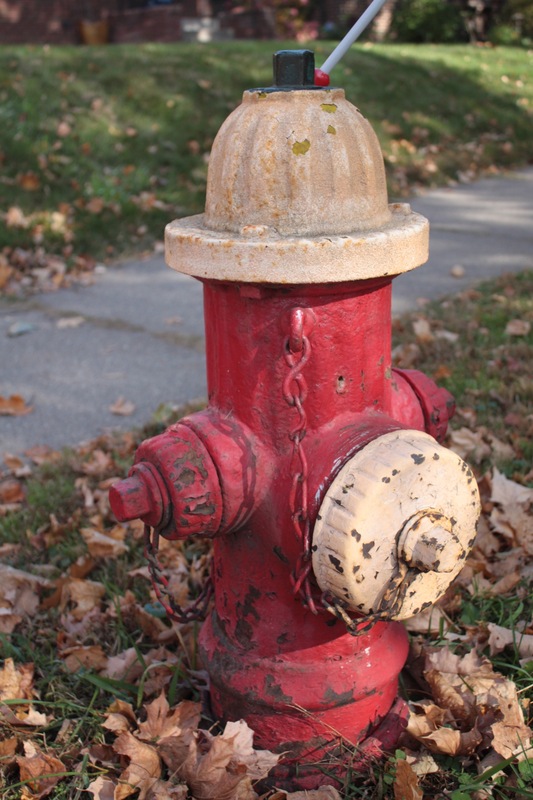 A brand new 2014 Waterous hydrant at Lafond Avenue and Fry Avenue. Unlike most of the other hydrants around town it doesn’t have yellow hose caps. I didn’t know whether the different color schemes on the fire hydrants have a particular meaning so I called the Saint Paul Regional Water Services. Turns out, the color of the hydrant lets firefighters know the size of the water main feeding it. A Water Utility engineer told me the diameter of the mains range from one inch for old pipes to 42 inches for what is called a feeder main. Feeder mains, as the name suggests, move a great volume of water from one end of the city to the other. Those hydrants, painted red and white, are rare; I’ve not seen one. The red with yellow hydrants are located in residential neighborhoods and are fed by six inch mains. 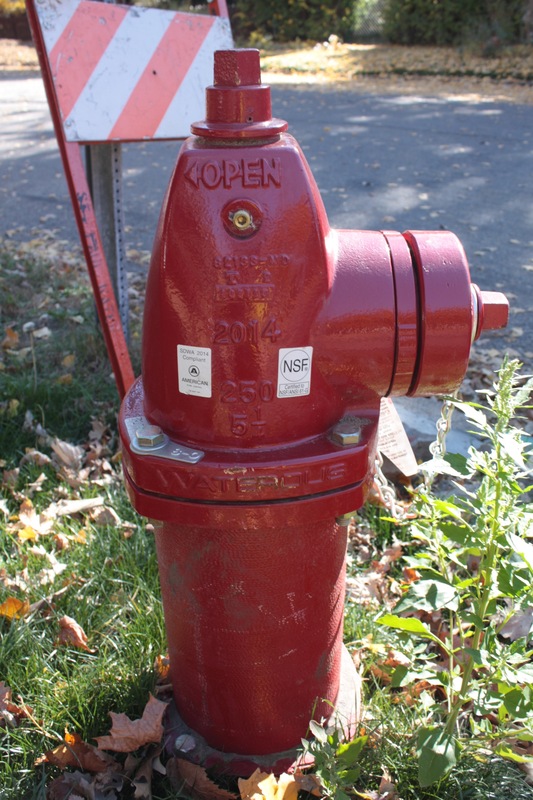 The all-red hydrants, also found among residences, are the new standard with greater capacity eight inch mains. 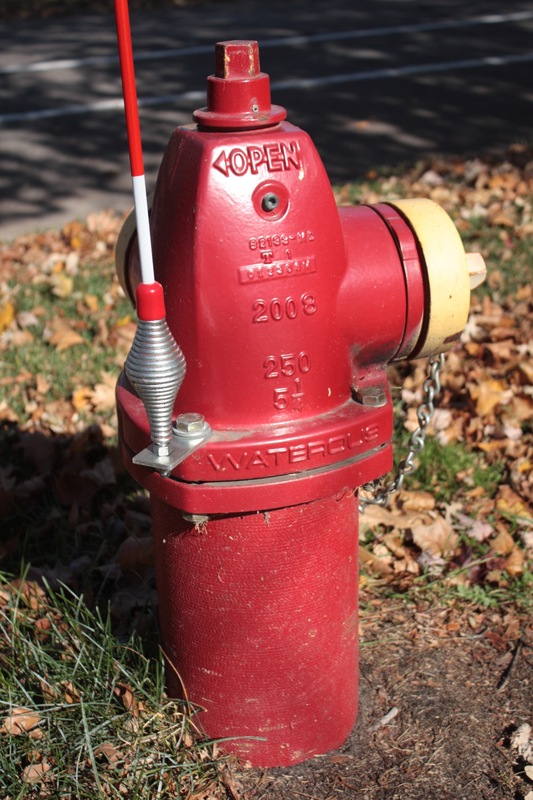 And the red and green fire hydrants are fed by mains 12 to 36 inches in diameter. Those hydrants have greater pressure and capacity and are often used in areas with larger buildings, warehouses and factories. 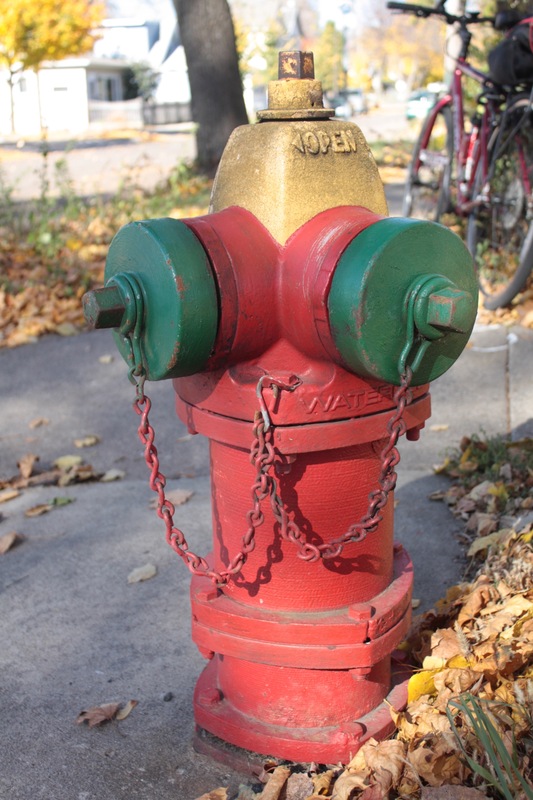 This higher capacity hydrant, with the green caps, is located at Oxford Street and Front Avenue, where there are stores and businesses on all four corners. Every one is inspected at least once a year. 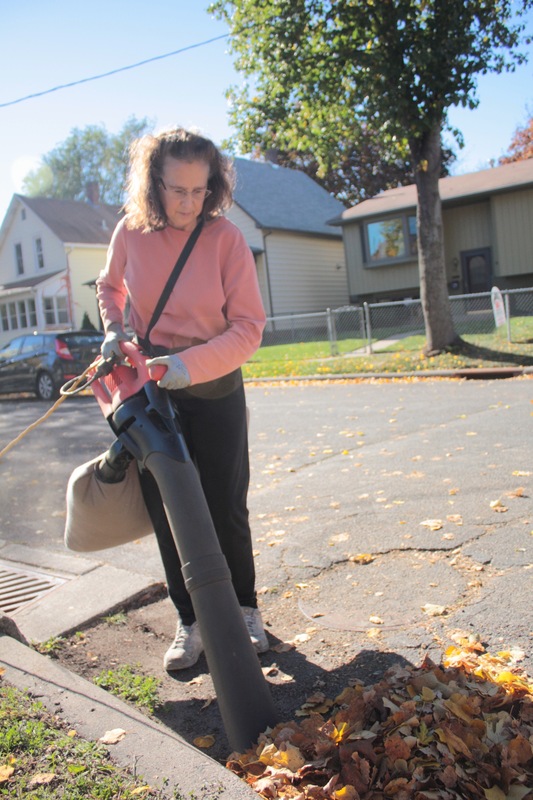 A hydrant is knocked over nearly every day in the Capitol City. 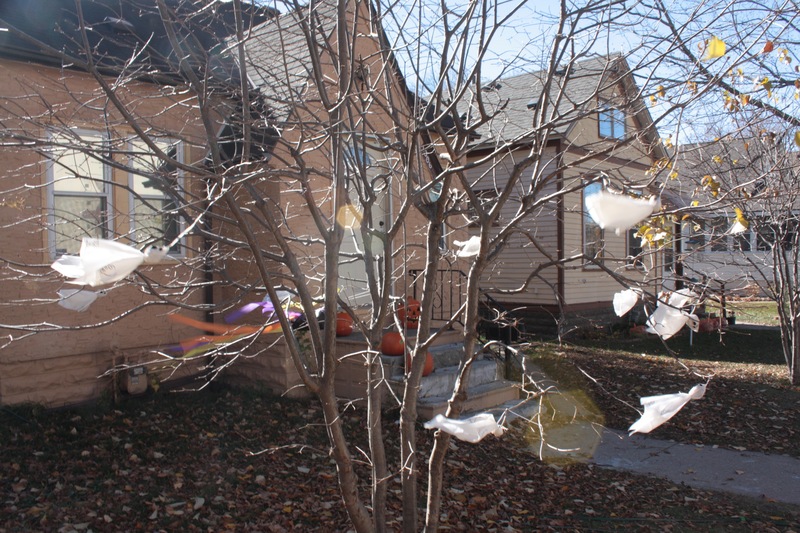 At 1306 Lafond, ghosts fly about the nearly leafless tree. 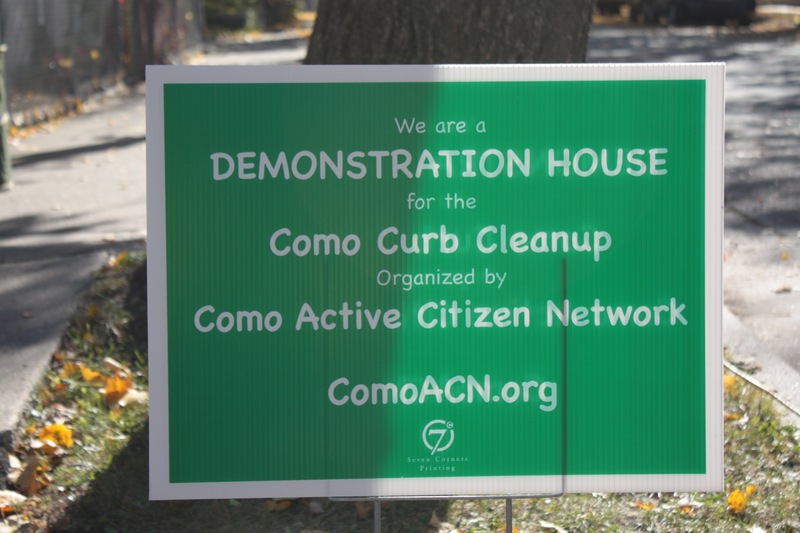 This sign sits on the boulevard of the house at 1076 Churchill Street at Orchard Avenue in Como. Curb cleaning along Churchill Street. A similar sign to Ginny’s seen around the neighborhood encourages neighbors to adopt a storm drain. 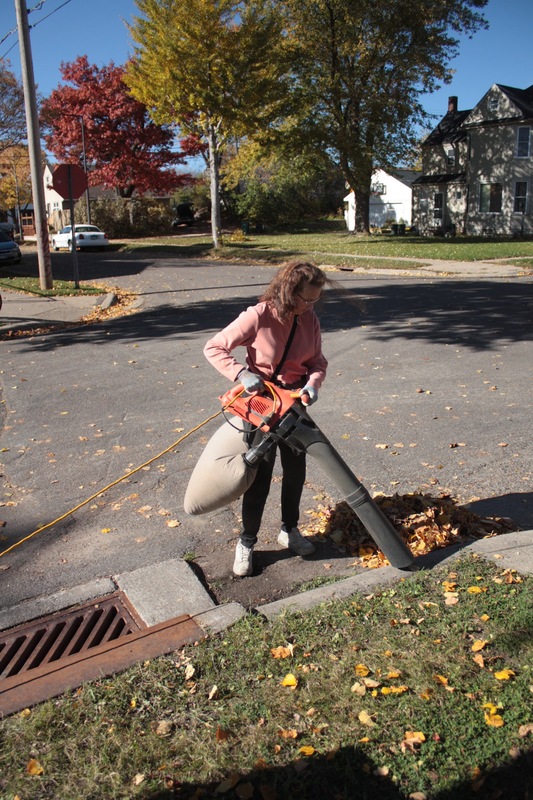 Again, the goal is to improve Como Lake’s water quality. Churchill Street is interrupted by a pair of Burlington Northern Santa Fe Railroad tracks. Today so-called intermodal cars speed by. However, tank cars filled with Bakken oil are frequently on the southbound BNSF trains that pass by. Be aware-Churchill Street is also a Zombie Zone. A block east and to the south on Oxford are these (fraternal) twin garages. 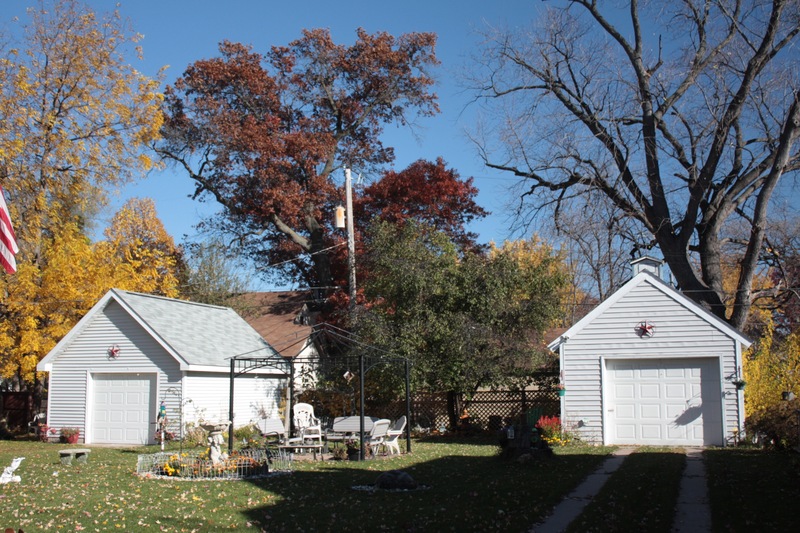 The garage on the right (south) has a cupola with a fun weather vane. 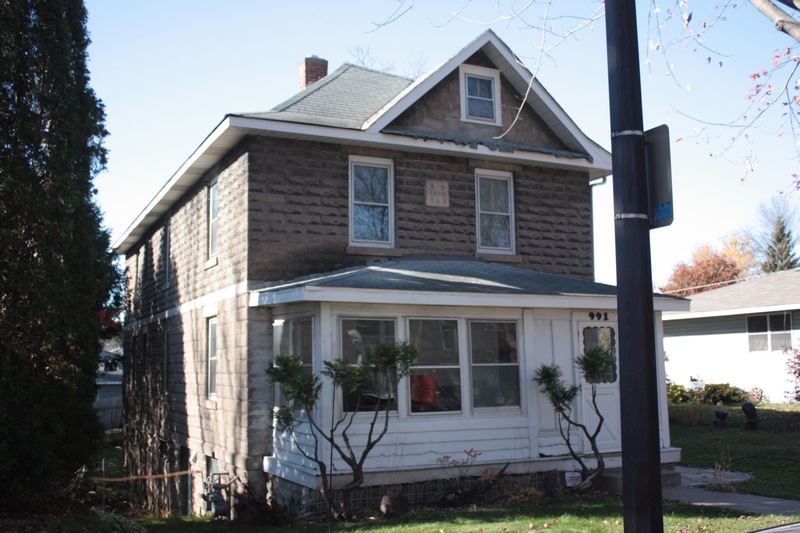 991 North Oxford Street stands out from neighboring homes because of its uncommon stone construction and second story tablet between the two front windows. 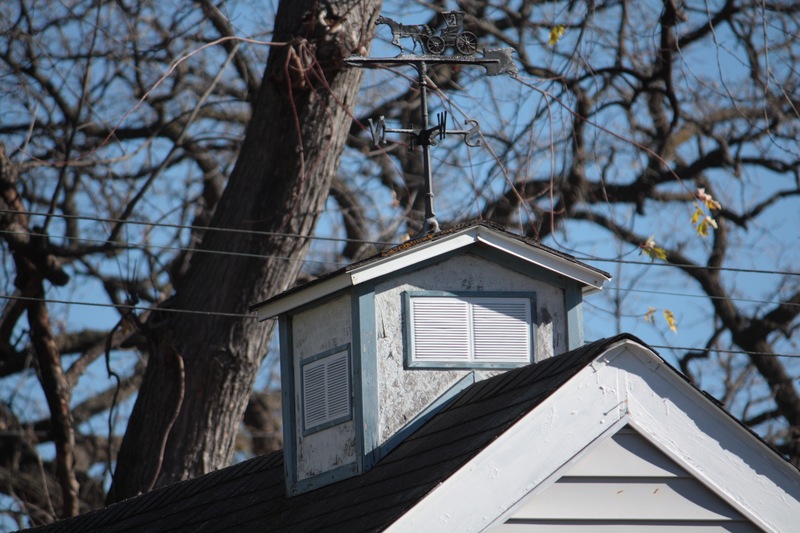 Research yielded little information about the home’s history. One early occupant, Joe Graus, is listed as a “washer” in the 1914 Polk City Directory. 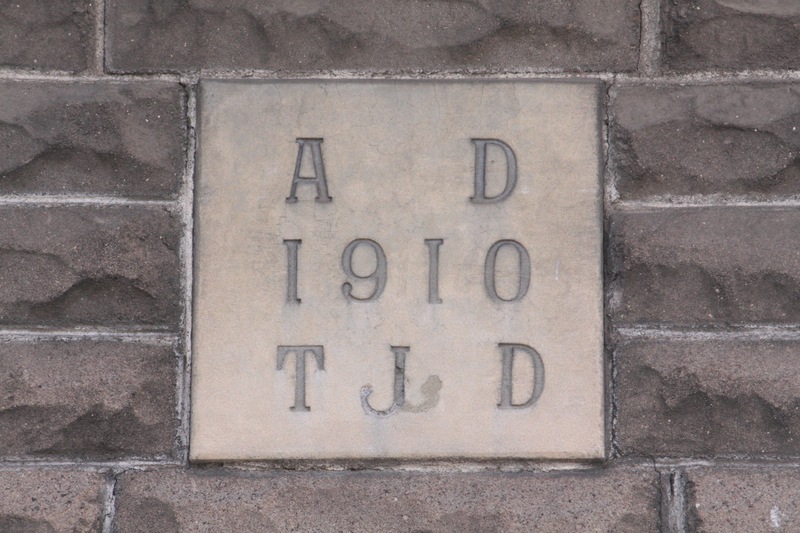 …and confirmed by the “cornerstone” of the house. Or visa versa. The north side of 991 Oxford Street. Note the two story porch in back. 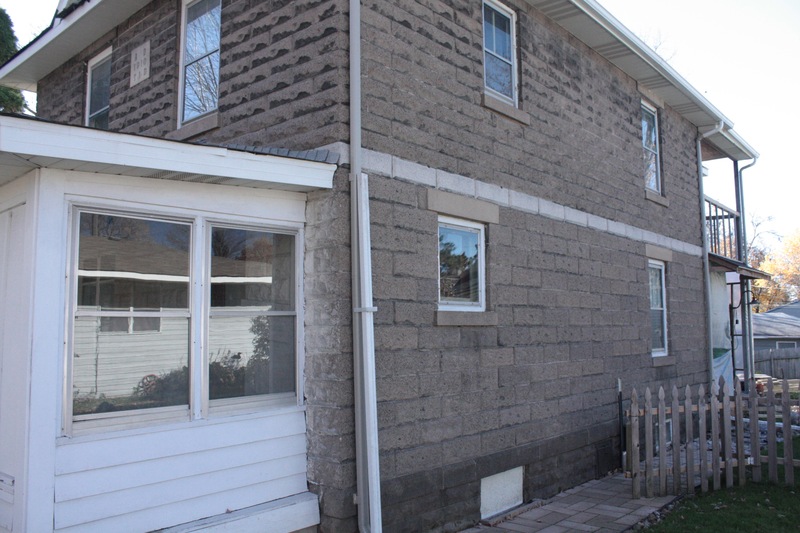 The exterior is uncommonly all stone, from the foundation to the roof, with the exception of the front porch. Curiously, the “J” on the “cornerstone” has been changed for some reason. It appears as if at one time it was a backward “J” that was corrected. 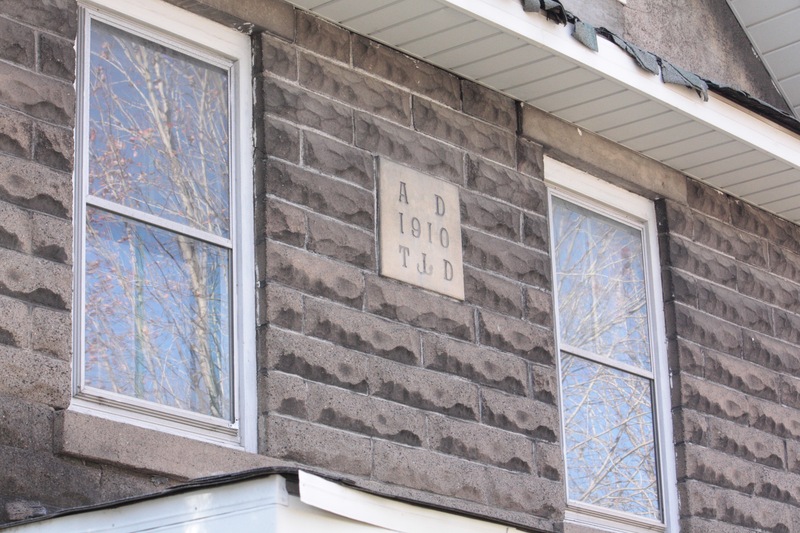 My research did not yield any information about who “TJD” was. 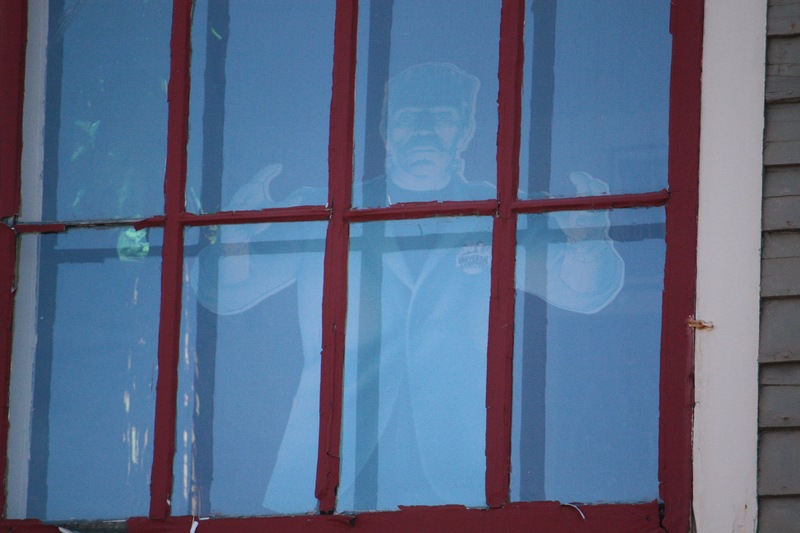 Frankenstein keeps watch on the unsuspecting from the second floor of 1636 Englewood Avenue, Merriam Park, at least through Halloween. This link will take you to the map of the October 25, 2014 ride. Garmin Connect. It came as no surprise that this ride was my last of 2014. For my blogging purposes, any ride after mid-October is a bonus, meaning I sneaked in two bonus rides in ’14! Of course I do not enjoy my winter biking hiatus-riding in place in the basement is decent exercise but exceedingly dull. Looking at it positively, I could be back biking streets of Saint Paul in five months, and the winter allows me to catch up on my blog posts.